Housing Association representatives with Housing Leader Councillor Cammy Day, Health, Social Care and Housing Convener, Councillor Ricky Henderson, the City of Edinburgh Council Chief Executive Andrew Kerr, Council Leader Councillor Andrew Burns, Deputy Leader Councillor Sandy Howat. Edinburgh is set for a major housing boost after the Council’s plan to build thousands of new homes was matched by partner housing associations. Six Registered Social Landlords (RSLs) have pledged to match the City of Edinburgh Council’s plan to build 8,000 homes, which will bring an incredible 16,000 affordable and low cost homes to the Capital over the next decade. Representatives joined senior Council officials at the City Chambers yesterday (Thursday January 28) to officially back their commitment to the partnership. The housing associations, which are not-for-profit, are: Castle Rock Edinvar, Dunedin Canmore, Hillcrest, Home Group, the Link Group, and Port of Leith. They met Council Leader Councillor Andrew Burns, Depute Leader Sandy Howat, Chief Executive Andrew Kerr, Health, Social Care and Housing Convener Councillor Ricky Henderson, and Housing Leader, Councillor Cammy Day. We all know about the acute shortage of affordable homes in the capital; a shortage that’s pushing house prices out of the reach of those on low to middle incomes, increasing rents in the private sector and creating a cost of living crisis that’s putting real pressure on people across Edinburgh. This fantastic joint commitment will see the Council and its partners build on their current successes and accelerate house building to provide the increase in affordable homes that Edinburgh so desperately needs. This joint commitment won’t just deliver 16,000 homes – we expect it to generate benefits to the local and national economy of around £4bn, create over 3,000 jobs and bring in additional council tax revenue to help fund the delivery of essential services for the people of Edinburgh. Reducing the cost of living for tenants and building more affordable homes are key priorities for the Council. 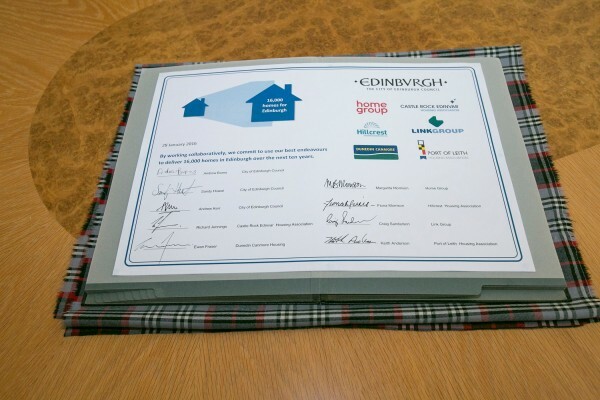 Housing associations operating in Edinburgh are pleased to match the Council’s pledge and commit to delivering 8,000 much needed affordable homes in Edinburgh. As part of Places for People, Castle Rock Edinvar is already committed to developing 1,000 New Homes for Edinburgh. 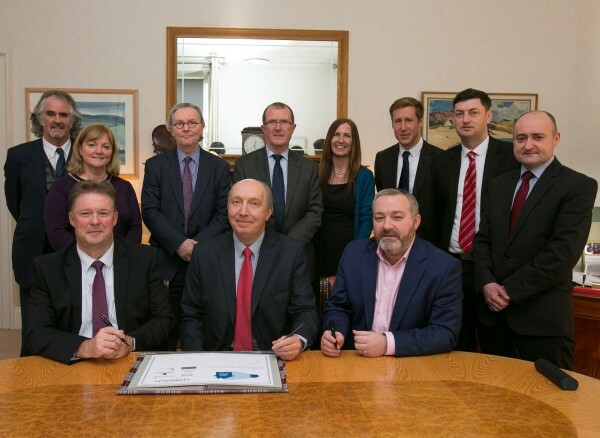 Extending our contribution in collaboration with fellow housing associations and the City of Edinburgh Council allows us all to make a significant contribution to the housing supply, wellbeing and economic growth in the city. We are absolutely determined to play our part, working with the City Council and other housing associations, in tackling the acute shortage of affordable housing in Edinburgh. The plans unveiled today represent an outstanding example of partnership working and we are delighted to announce that as part of our commitment to maintaining and improving communities across the city, we will build at least 1,000 good-quality, energy-efficient homes in the capital over the next decade. Almost 150 households bid for every Council and housing association home available to let in Edinburgh, and the city’s population is set to grow by up to 30% over the next 20 years. The Council was already committed to delivering 3,000 affordable and low cost homes on 22 sites in the city, including investing over £100 million on lending to 9 Limited Liability Partnerships set up through the Government’s National Housing Trust (NHT) initiative.